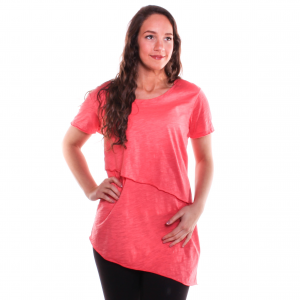 8258 Neon Buddha Women's Alora Top The peek-a-boo shoulder detail is the first thing you'll notice about the Alora. Very flattering for all types. This flirty top is easy to wear and easy to care for; a great combination. 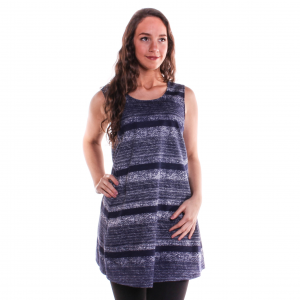 8255 Neon Buddha Women's Aspen Tank Vest The sleeveless shape of the Aspen is ideal for warm weather wear. Add layering interest without overheating. Mixed media buttons down the front is signature Neon. 8238 Neon Buddha Women's Elie Dress This simple, soft and smooth dress can go from casual to formal with just a change of accessories. Dressed up or down, you'll love the comfortable feel of the Elie. 2007951 Neon Buddha Women's Extended Size Natty Tank Build your look around this stunning sleeveless layered tank. Looks charming under a jacket as well as a stand alone. 2006166 Neon Buddha Women's Extended Size Nirvana Tee This fun tee is a perfect go-to top that is so right for all your casual occasions. With a raw edge that adds a subtle bit of detail, the Nirvana just wants to be seen. 2008257 Neon Buddha Women's Extended Size Nori Top Try this flirty top for a bit of casual fun. You'll love the mixed fabric textures and the ease of fit. The A-line shape gives it great movement. 7808 Neon Buddha Women's Maggie Swing Shirt Super oversized, this on trend shirt has a relaxed fit with a bold personality. As carefree as you are, the Maggie shirt demands attention. 7951 Neon Buddha Women's Natty Tank Build your look around this stunning sleeveless layered tank. Looks charming under a jacket as well as a stand alone. 6166 Neon Buddha Women's Nirvana Tee This fun tee is a perfect go-to top that is so right for all your casual occasions. With a raw edge that adds a subtle bit of detail, the Nirvana just wants to be seen.